Private Labels – unlike the generic or branded offerings of the past – are becoming very integral part of the global retail landscape, which also in turn contributing heavily to generate most sought after Local Purchase Order (LPO) at various mom and pop shops. 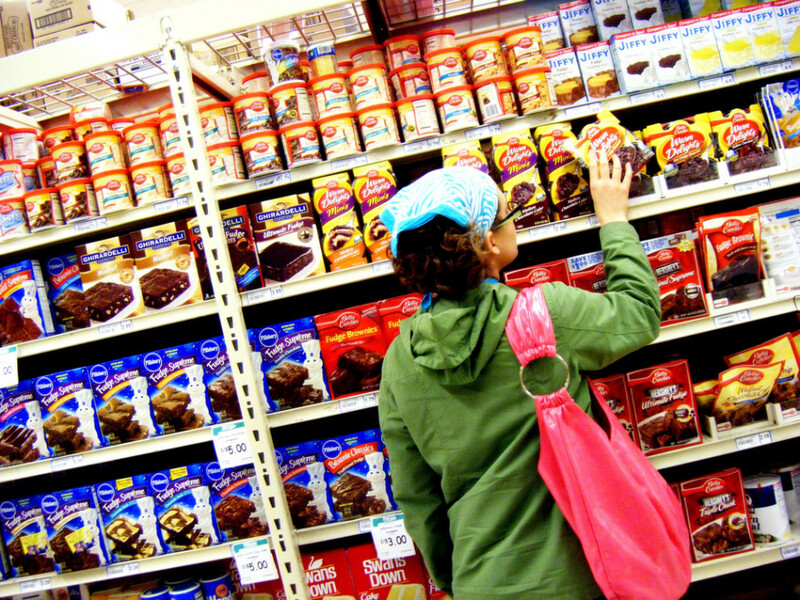 Products coming under Private Labels are carefully managed and marketed in order to improve the generic retailer’s competitive edge. The whole process typically contains the same type of ground level negotiation on quantities, payment terms, inventory liquidation, sales promotion, secondary order etc., but it’s going after branded products by attacking latter’s gross margins at strategic points of distribution chain of the system where sales either get born or killed prematurely. Some of the Private Labels are now seen as brands in their own right. The economies of scale and brand equity of large grocery retailers make them well suited to the development and distribution of private label. Hence, markets seeing the higher penetration of supermarkets/ hypermarkets is those in which private label are growing the fastest This article questions the new approaches to the evolving role of Private Label FMCGs in the face of an increasingly competitive grocery landscape in India. The Private Label substitutes a Brand based on a newly generated identity, purposefully categorized between rock-bottom quality offerings, standard quality offerings, and high-quality offerings. It allows the consumer a way of seeing the products in a typical context based on perceptions and it also gives the consumers a way to integrate the perceived product into the way they want to live their lives. And, overall winners are the retailers – the one who sells the private label products against the brands and the consumers – the one who purchases the private label products against the brands. In the year 2013, India’s Future Group closed about 40% of its food and grocery chain of Food Bazaar stores that were not performing well, even as it continues to undergo restructuring phase which can be noticed at its various stores. Food and grocery retailing which forms the largest chunk of organized retail in India is a tough business to be in. Food and grocery typically have a gross margin of 10-15%, compared to 40-50% for apparels. To counter such anomaly, an optimum mix of Private Labels can easily boost gross margin over 25% based per category line on the concept of identifying a brand with a store. The typical international retailers like TESCO (UK) or LULU’s (UAE) have 60%-70% Private Label Product Mix with remaining FMCG driven Branded Products at their shelves. This can be a far more profitable business than selling nationally advertised brands. It is quite crystal clear: to achieve a desirable outcome for India’s overall retailer level consumption growth, whole game-plan would be hugely depending upon the pricing based on the maneuvering the current tax system which imitates as a pure form of “Byzantine Duplicity” until and unless the most anticipated “GST – Goods and Services Tax System” goes live keeping the middle-class consumer in the mind. The question is how quickly it can be reciprocated across all the states and at the same time creating a sustainable ecosystem for manufacturers and retailers. Consumer experience (in terms of physical retail) / User experience (in terms of online retail) is the Holy Grail answer for a problem – “Too many products are chasing too few customers” in this new-age technology driven eco-system where smartphones are becoming one of the fastest accessible touch-points. Further down the line, the collaborative effort will bring physical retail format matched with online ordering system resulting into multi-channel product and services delivery vehicle. The curiosity arises with respect to Private Label distribution through grocery aggregator apps like Grofers, PepperTap, and Big Basket. It’s imminent, once these venture funded aggregators reaches minimum maturity level – they will eventually provide distribution support to private labels of other physical retailers and will try to gain, maintain and sustain a positive top-line for themselves. However, if we look at the bottom of the pyramid which is a massive consumer section of Indian socio-economic continuum we find the presence of generic competition. There is the reality of minimum wages and a high price sensitivity which makes the consumer balance between his desire to use branded products from well-known retailers and his income. For these consumers, quality means an acceptable level of performance across categories. And hence these consumers may balance their budget by having a trade-off by buying branded commodities across product categories. The consumer may buy a few branded products and compromise in the other product categories for unbranded offerings. As per Euromonitor Trend Report , The Private label sales grew on a global basis recently. Sooner or later Indian retailers will cut back on brands to give private label ranges more shelf space. The future thus seems to belong to retailers who are keen to get engaged with consumers through proper backward integration. It is very much clear, the new level of cooperation between FMCG Brand manufacturers and retailers will come into existence, wherein the high-quality offerings will be sold under a brand name and standard quality offerings/rock-bottom quality offerings will be sold under a Private Label by the same manufacturer for the contracted retailer. Next Post 2016, Where is the IT Workforce Headed?